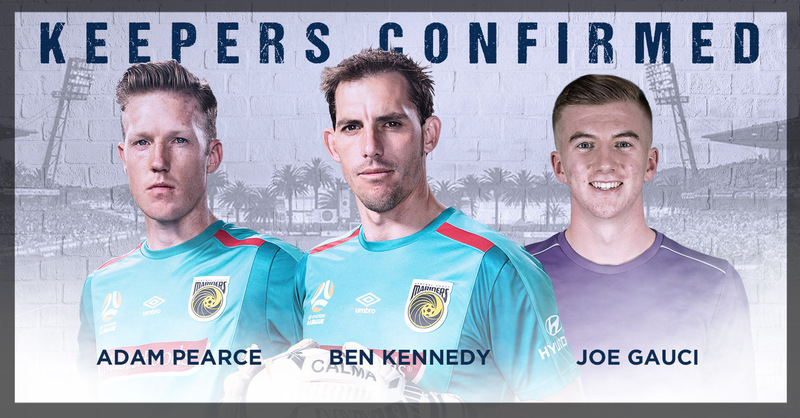 West Torrens Birkalla is delighted to confirm that Senior Keeper, Joe Gauci, has signed with A-League side Central Coast Mariners for the 2018/19 season! 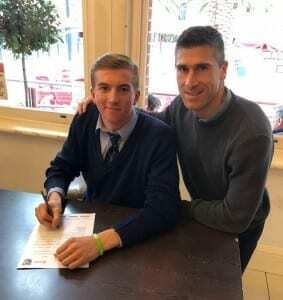 Joe, 17, is the first ever player to be signed on a scholarship contract with the club after taking part in a series of trials beginning in February. 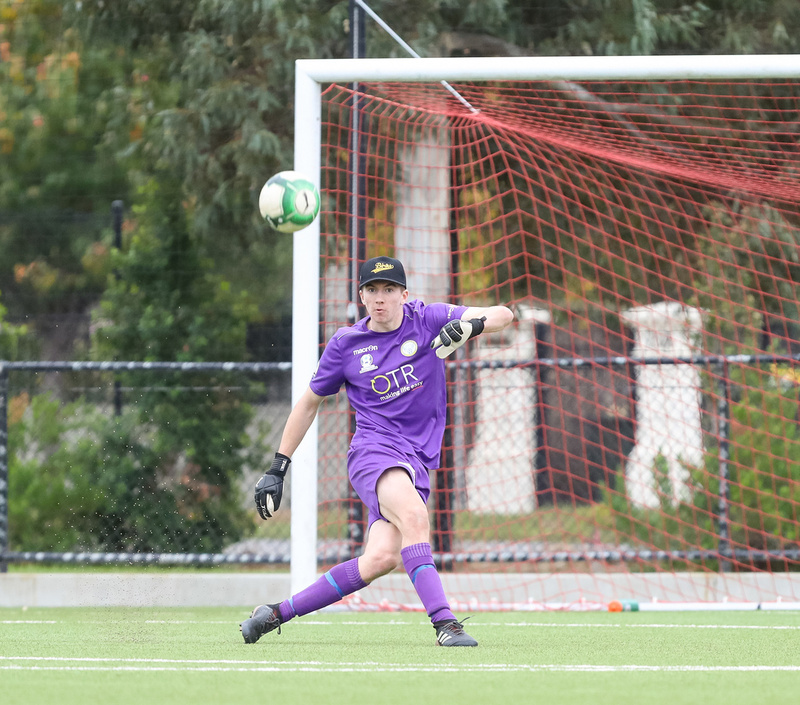 Currently in Year 12 at Sacred Heart College, Joe played his last game for Birkalla in Round 12 against Adelaide Comets and has recently relocated to the Central Coast ahead of pre-season commencing Thursday the 21st of June. “It is a long pre-season but there will be pre-season games and FFA Cup games – which hopefully I am a part of,” said Joe. Joe began his Junior football with Cumberland United before moving to the Under 14 State team under Elvis Markov. From there he went to the Nationals at Coffs Harbour, moving in to the SA NTC side with Carl Veart the following year. 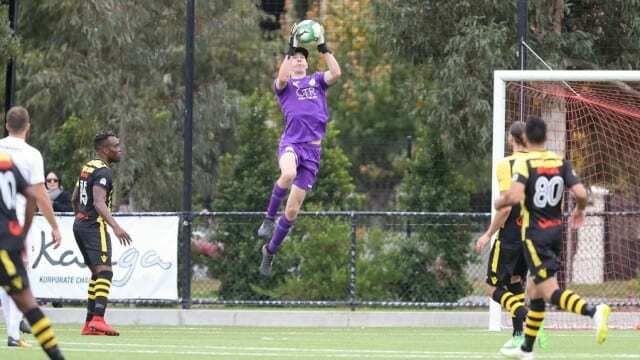 It was after this that Joe joined West Torrens Birkalla, working under the leadership of Joe Verringer and learning from former Birkalla Senior Team Keeper, Julian Torresan. In 2017, Torresan suffered an injury that lead to Joe being elevated from Reserve Keeper to Senior Keeper at the young age of 16, a role that may have been daunting to some, but not Joe. “For me I was more excited than nervous about stepping up and playing first team,” said Joe. “I knew that Joe (Verringer) backed my ability and having Julian there as support from the sideline was crucial. I knew that it was my opportunity and that they do not come around often, and I just had to make sure I made the most of it. During the 2018 National Premier League season, Joe has been led by Senior Coach, Simon Catanzaro and Goal Keeper Coach, Neil Tate, who assisted in coordinating the trials for Joe. For Joe, one word came to mind when asked how he felt when it finally came together. “It has been in the works for a couple of weeks, behind the scenes. I knew when I went over for the second time that they were interested, so to have that all done is a big relief. For someone who moved away from his home of 17 years, his family, his friends, his school, Joe is exceptionally calm. “I’m excited, there is nothing to be nervous about really,” he told. Joe is grateful to Central Coast for the opportunity and equally grateful to those who have helped him to this moment. “I would just like to thank everyone at the club for the support over the last three seasons,” he said. “Starting with Bruno Disotto and Dino Paris as my coaches when I first came in playing U/18’s. A big thanks to Julian Torresan, Joe Verringer, Amin Ayoubi, Mario Labrosciano, and all the other staff and coaches for the support last season and playing a massive role in helping me step up into the first team position. “To Neil Tate, Simon Catanzaro, Barney Smith, Emmanuel Pais, and Roger Williamson, a big thanks for the support over the last 6 months, the professionalism of the club during training as well as the quality of our sessions has made stepping up to A-League level easier. West Torrens Birkalla congratulates Joe on his achievement and looks forward to his growing success at Central Coast Mariners!